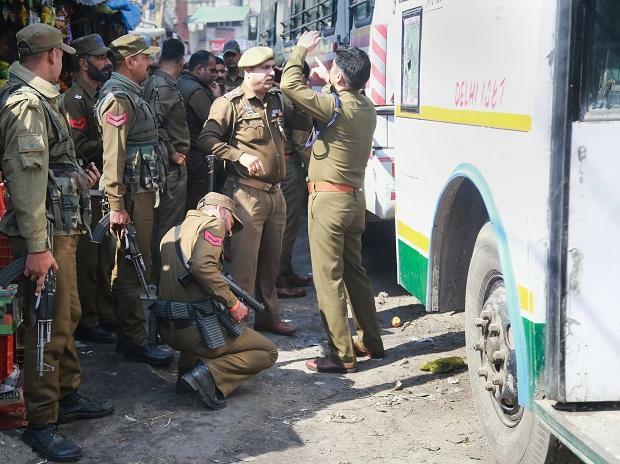 At least 18 people were injured on Thursday in a grenade attack by suspected terrorists at the crowded general bus stand in the heart of the city, a senior police officer said. The scene of the blast along the B C Road was sealed off by police and a massive hunt has been launched to nab the grenade thrower, Inspector General of Police, Jammu, M K Sinha said. Sinha, who immediately rushed to the scene to take stock of the situation, said a preliminary investigation suggests that someone lobbed the grenade, causing injuries to 18 people who were evacuated to the Government Medical College (GMC) hospital. Windscreens of a parked state road transport corporation (SRTC) bus were damaged in the blast, a police official said, adding the condition of one of the injured was stated to be "critical". J&K: Blast at Jammu bus stand.